What’s awesome about Gitam Get More Info ! 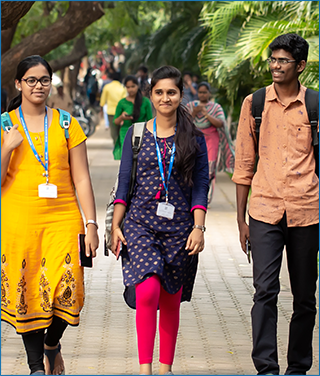 GAT - 2019 (GITAM Admission Test) will be conducted online for admission to UG & PG Programs of Technology (Engineering), Architecture and Pharmacy courses offered at Visakhapatnam, Hyderabad and Bengaluru Campuses. First class or equivalent grade in Intermediate or 10+2 examination with a minimum of 60% aggregate marks in PCM/PCB (50% aggregate for B.Arch or B.Pharm) from a recognized central / state board or its equivalent either in 2019 or 2018 and also rank obtained in GAT (UGTP) - 2019. 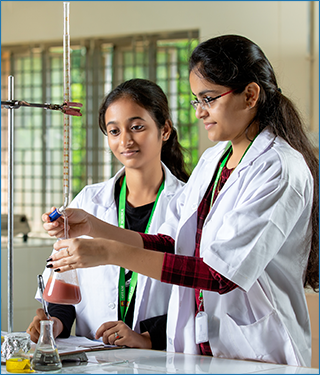 Pass in B.Pharmacy from a recognized university with a minimum of 50% marks or equivalent grade and Score obtained in GAT (PGP) - 2019. GITAM will conduct online admission test at the following 50 test centres. My learning needs, interests and experiences at GITAM made me fit in an appropriate placement offered by Microsoft with a package of 10.5 LPA. The training provided by placement cell in various fields and advanced technologies made me placement ready. I really owe to the entire GITAM for moulding me what I am today. The student orientation towards career given at GITAM was topnotch and helped me in cracking my job interview. Since my Intermediate I was interested in studying Electronics and Communication Engineering and got the same in GITAM. I was selected for Delloitte by which my dream was fulfilled. I thank the entire GITAM fraternity for my achievement. Hailing from rural background, I never thought of learning advanced technologies. This was only possible because GITAM provides cutting edge skills integrated with dynamic curriculum. The Faculty here always ensure that creativity of the students was broughtout to unleash the latent talents in them. The pre-assessment made at GITAM helped me landing in a job in MuSigma.